Longevity in the academic life occasionally rewards one with an opportunity to observe the progression of programs from simple beginnings to great heights of excellence. 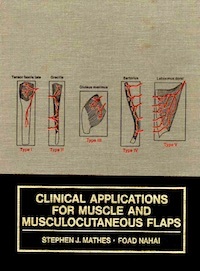 This book, "Clinical Applications For Muscle & Musculocutaneous Flaps", seems to invoke such a feeling. The broad principles espoused in this book and the wide-ranging applicability of these reconstructive techniques are eloquent testimony to the authors' commitment to the total care of the surgical patient. Certainly, this work should mute the commonly heard theme that plastic and reconstructive surgery serves only the wealthy and vain.